Imagine what life would be like in a perfect society. Everybody would get along. There would be no problems. People would focus on being happy and on the beauty of life. That’s what Utopia is all about. 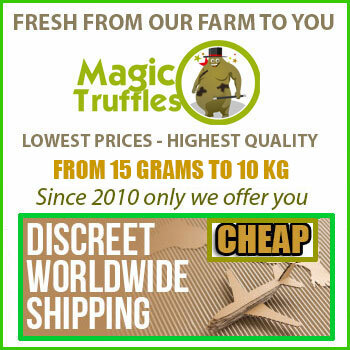 This magic truffle is characterized as having strong, shape effects full of feelings of happiness. Feel uplifted and in a better state when you try some of these magic truffles. An Intense Truffle. If you’re looking for a high that’s intense and vivid, Utopia magic truffles are the right selection for you. Experience a Surreal World. Life is already beautiful and full of precious moments and surreal places; with Utopia, things will be taken to the next level. Long Lasting Effects. Experience an unreal high not for just one or 2 hours. The effects of this magic truffle last for up to 6 hours! Top Quality Mushrooms. We take the growing process very seriously in order to ensure freshness, maximize intensity and keep our quality consistent. Unbeatable High. If you’re looking for a high that takes you to a whole new, perfect world, this is it! Feel a buzzing, energetic and experience visually detailed visions. If you’re looking for a high to itch that scratch, Utopia is for you. This magic mushroom pack will leave you completely satisfied and refreshed. Order now! Share your experience about Utopia with other customers. Submit your tips or thought on this product, be detailed and specific.